Colleges seek students who are a great match. With online applications, colleges have more and more applicants and, thus, need ways to differentiate amongst them. As a result, an increasing number of schools use demonstrated interest as a factor in the admissions process. We need to help high school juniors understand that, while demonstrated interest can be a significant factor in the admission process, they do not have to spend a ton of money to learn more about or physically visit many colleges on their list. This spring, high school juniors can begin the process of getting to know colleges all around the country–and for little or no money. Remind students that there is no substitute for an on-campus visit. 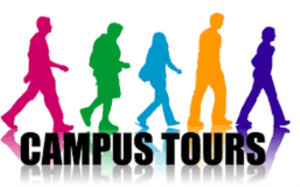 Help students learn how to plan a college visit. Have them go directly to each college’s website to schedule appointments for tours and information sessions. They can also attend classes, spend the night in a dorm, meet with professors, eat in the cafeteria, and more. Many colleges have special programs for juniors and seniors. These programs are great for students who want to visit colleges in their area. Tell students to get on the “virtual radar” of colleges in which they are interested.Help students understand that demonstrated interest includes virtual interactions and other forms of correspondence with schools. They can find colleges on Facebook, Twitter, Snapchat, YouTube, and even Pinterest (as well as new and constantly emerging social media platforms). They should be sure to sign up for college mailing lists. Also, they can communicate their interest by interacting with admission officers and other campus officials through email, online webcasts, etc. et.org/college-fairs/springncf/Pages/default.aspx for the current schedule of WACAC and NACAC fairs. Urge students to attend college consortium presentations.Many colleges are teaming up to make college presentations. Students can learn about these colleges without having to leave their states. For example, Duke, Georgetown, Harvard, Penn, and Stanford travel together in their “Exploring College Options Consortium”. The 2018 schedule is available at http://www.exploringcollegeoptions.org/. Likewise, Brown, University of Chicago, Cornell, Columbia, and Rice offer “Exploring Education Excellence” for students and counselors. For more information, visit http://exploringeducationalexcellence.org/. For any visit, whether in person or virtual, I recommend that students take notes about core features—academic, cultural, athletic, etc.—of each university, so that they can strengthen college application essays and interviews with specific examples.